Congratulations to Dr. Richard Kouzes on receiving the Laboratory Director's Award for Individual Lifetime Achievement in Science and Technology from Pacific Northwest National Laboratory. During his 30-plus year career, he's made vital contributions to the science and application of radiation detection. He's published extensively, mentored students and scientists, and received awards from prestigious societies. Kouzes' basic research includes understanding matter and energy. His basic science work focuses on detecting and measuring neutrinos. Known as the ghosts of the universe, neutrinos, born during the life and death of stars, pass through all matter at nearly the speed of light. These particles can tell scientists a lot about the nature of our universe. As a member of several international teams, Kouzes helped discover that neutrinos change form. This realization helped scientists understand why their instruments only detected one-third of the neutrinos anticipated from stellar models. This research earned Kouzes and his collaborators the 2016 Breakthrough Prize in Fundamental Physics, which recognizes people who've made profound contributions to the world, and its leader won the 2015 Nobel Prize in Physics. His work in radiation detection has also affected homeland security and non-proliferation. He was the principal investigator for the Defense Threat Reduction Agency Transparency Program, and, at the time, the Lab's largest single project, the Radiation Portal Monitor Project. This program led to portal monitors being deployed at international borders to detect nuclear weapons and other radiological material. Although he left academia for the laboratory, Kouzes has spent his entire career mentoring. He's mentored about six post-doctoral fellows while at PNNL, including Tony Peurrung [Associate Laboratory Director for National Security]. He regularly mentored about five students each summer. He's also involved in professional societies. He founded and served as chair of the Institute of Electrical and Electronics Engineers (IEEE) Committee for Computer Applications in Nuclear and Plasma Sciences. He has served in a variety of roles and currently serves as the society's webmaster. 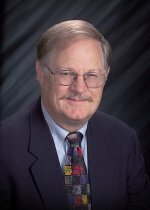 The lifetime achievement award adds to his growing list of honors, including American Association for the Advancement of Science Fellow; Richard F. Shea Distinguished Member Award, the top service honor from IEEE's Nuclear and Plasma Sciences Society; Fellow of the IEEE; and the Outstanding Mentor Award from the U.S. Department of Energy.